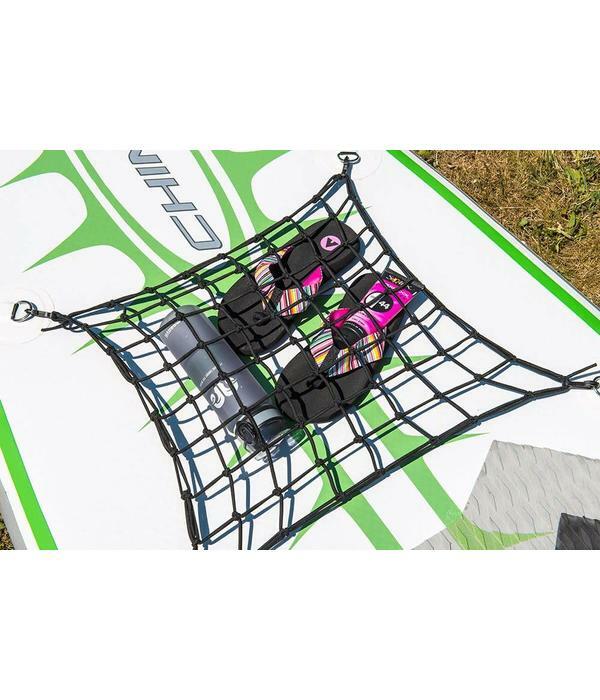 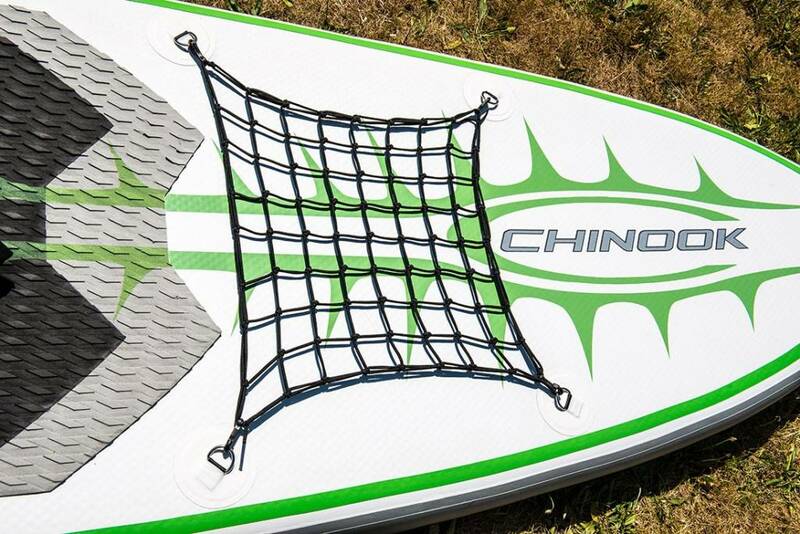 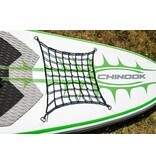 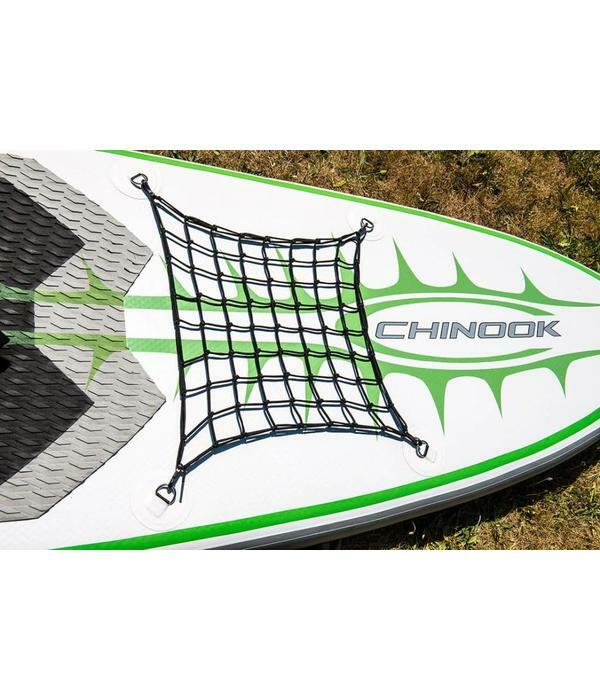 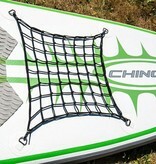 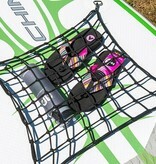 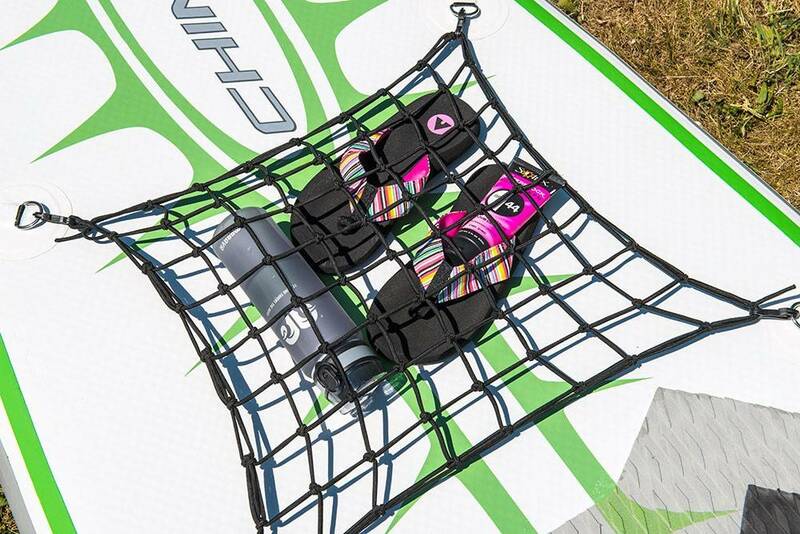 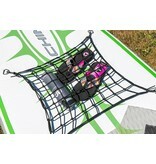 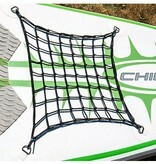 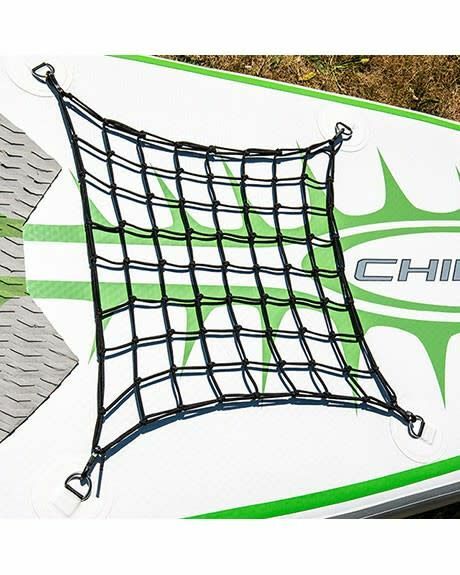 Stow your cargo in place on the top of the SUP board surface using this cargo mesh net. 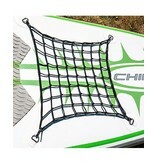 Cargo net with clips. 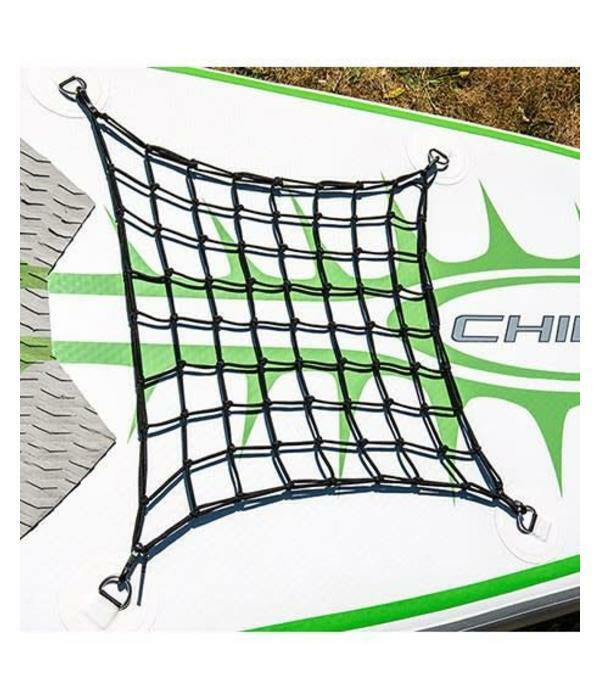 2" squares, 18" x 18"